Francis Hassett, from Florida claims he developed damaging metal poisoning after hip implant replacements with a Stryker Accolade TMZF femoral stem and LFit V40 femoral head. According to Hassett, his Stryker defective hip implants caused a dangerous level of cobalt and chromium metal ions in his body, and a serious fluid leakage around the artificial hips, indicating severe local tissue inflammatory reactions. 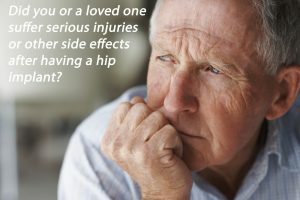 Many hip and knee surgery patients can develop bacterial infections of their implants, leading to painful re-do surgeries, long term antibiotic use and in severe cases amputation because of overwhelming infection. There are many causes for this, including patient and surgical factors and according to some experts the bacterial infections it may be related to the bacteria in the operative room and hospital, since it is impossible to make the surgical room and hospital completely free of bacteria. 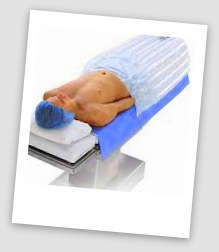 3M and their Arizant Healthcare subsidiary are exposed to personal injury and product liability lawsuits over hip and knee replacement infections may be caused by their Bair Hugger warming blankets.